The fifth, and penultimate, walk of this series will take place in Hintonburg on Friday, November 9th. This walk, led by rob mclennan, will showcase the poetry of this historic neighbourhood, including sites significant to Diana Brebner, Collected Works Bookstore and Coffeebar, The Dusty Owl Reading Series, Dennis Tourbin and Anita Lahey. The walk will begin at 5:30PM at the corner of Wellington Street West and Holland Avenue. 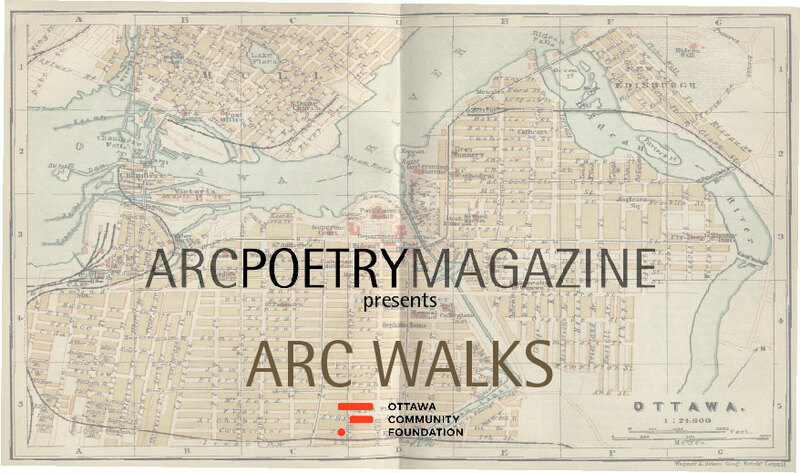 During the hour-long walk, participants will visit five locations where they will hear about some of Ottawa’s contemporary poetry history, and hear from a special guest poet or two. Come prepared for rain or shine! A sixth walk, also led by rob mclennan, will occur on Saturday, December 8th, and focus on Ottawa's Byward Market. Info tba.